If you live in Florida and you’re trying to adopt a Persian kitten or cat, your best choice is to go to a Persian cat breeder. These are people who specialize in the breed and really understand their personality traits and how to care for them. Finding a Persian cat breeder in Florida can be difficult, but we’ve done all of the hard work for you. We’ve spent hours researching to find all of the different Persian cat breeders in Florida and you can find our full list below. How They Describe Themselves: BooKats is a CFA registered cattery located in Central FL. We specialize in silver and golden, blue golden, solid colors, bicolor and calico kittens from National Winning, Grand Champion and Champion Pedigrees. Shipping available. How They Describe Themselves: Storybrooke is a small cattery located in the heart of Central Florida. I specialize in the extreme type Persians and attempt to mirror the CFA and TICA standards. I have a few cats and work closely with other reputable breeders in the area in effort to combine best possible bloodlines and strive for perfection. I believe combination of many known bloodlines are needed in order to achieve this. How They Describe Themselves: We are a small cattery with only a few litters every year. Each kitten is nurtured and cared for everyday to enhance their social skills and sweet personalities. All kittens are kept in the house & are never let outside. How They Describe Themselves: A CFA Christian Cattery offering the finest little blossoms to cherish and love for a lifetime. We have been Doll Faced Persian Kitten breeders for over 5 years. Our White Doll Faced kittens and Silver Doll Faced kittens are the best of the best, boasting Grand Champion Lineage with healthy, unsurpassed beauty and wonderful temperaments. How They Describe Themselves: Home of Shensilvers Tipped in Silver, the #1 Silver Persian in the USA and 3rd Globally 2014. We have Region Winners, Grand Champions and World Champions. Our cats come with negative PKD, FeLV, and FIV certificates. How They Describe Themselves: We have been breeding the Persian cat for 20 + years and still going strong! We breed bi-colors and solid whites. We are known for the sweet open expression and memorable ones at that! We are a small hobby breeder dedicated to improving the Persian breed. We breed for open nares, as it is much better for breathing and will not breed cats with small nares for this reason. How They Describe Themselves: I am a home based cattery. My cats are used to lots of individual love and attention. They roam freely in my home. All my kittens are raised underfoot with lots of socialization from the very begining. All our breeing cats are up to CFA standards and are Champions. How They Describe Themselves: Our cats are a part of our family, they grow free, never in cages, play_ around_ the whole house, that’s why we want_ to find families love_ an tend_ to them well. They have been breed for beauty and temperament. They have never been in caged but were raised underfoot with an abundance of love and constant attencion given to their personality development. CFA Certified. How They Describe Themselves: I am a small cattery with a few exceptional cats from some reputable breeders. They were chosen for their excellent pedigrees, as well as they are very sweet. I desire only the best for each kitten and to keep the CFA standards to better the Persian breed! I am located in North Florida. How They Describe Themselves: Veterinary Technician raised, healthy, happy kittens that are free of parasites and disease. All are negative for PKD, Felv, Fiv, Ringworm and Fleas. Vaccinations- Written Health Guarantee- Health Certificate from Licensed Veterinarian- We supplement our babies from birth with bottle feeding to enhance their socialization and cuddling instinct and it works! How They Describe Themselves: My name is Irina and I live in beautiful Florida. I am a Doctor of Veterinary Medicine & have cared for cats for over 40 years. How They Describe Themselves: Lyn, having given up her photographic business in England, had time to realize a lifelong dream of raising Persians. Within the first year of being here they involved themselves in the USA Cat Fancy Association. How They Describe Themselves: Our Beautiful Kittys are raised in my own home beside us at all times to ensure we watch them constantly. When we do allow a breeding we plan nothing near or around those dates so we are available without worry. We have 2 sons ages 9 and 14 who assist in socializing 🙂 These babies know what it is to be held and slept with. How They Describe Themselves: Exotic and Persians C.F.A. Grand Champion and Regional Winners. How They Describe Themselves: We've been breeding our beautiful Persians for over 20 years. Our Teacup kittens are available in three beautiful colors: Chinchilla/Shaded Silver, Pure White, and warm Golden. We specialize in "Doll Faced" Persian Kittens, known for their beautiful coats, big round eyes, and short Cobby bodies. How They Describe Themselves: A Small CFA and TICA registered cattery since 2005. Located in sunny Bradenton, Florida. The Persian cat is one of the oldest breeds of cat. I am strictly a Hobby Breeder. Breeding for pets, breeders and show quality alike. Breeding for the standard. How They Describe Themselves: In 1990, I owned a seal point Himalayan male. The following year I got him a friend, a blue point Himalayan female. I had no intention of becoming a breeder, I just figured I'd have just one litter. Well that was it, I was hooked! Twenty years later and I'm still breeding and it's the joy of my life. How They Describe Themselves: I am a small breeder with just 3 females and 2 males that are bred each just one time a year. I am dedicated to breeding the most healthy, sweet, beautiful kittens possible. I hand raise them from birth with love and they are raised with my family and never caged. How They Describe Themselves: Lionzden is a cageless Cattery with two locations, one in Revere, MA & the other in Ft Lauderdale, FL. We strive for healthy, social Himmys and Persians which give unconditional Love and Affection. They all are winners in my book and are all balls of fluff and stuffed with Love. How They Describe Themselves: We at Liz Top Cat provide cats and kittens with playful and caring dispositions. We focus in on producing the correct types and sizes of Persian and Himalayan kittens that would wow any feline judge. With a lifetime of experiencing cat breeding you are sure to find the new addition to your home. How They Describe Themselves: At My Bluestars cattery, we are focused on producing healthy Persian kittens. We are a small cattery breeding Persians family style. Our kittens are raised with other cats and dogs and are very socialized. We are offering a large variety of colors from Himalayan pointed kittens, bi-color and solid color. How They Describe Themselves: We are a Cat Fancier's Association (CFA) registered, small cattery specializing in pure Persian bi-color, particolor, and solid cats. We have both blue eye and odd eye in our lines. Our Persians are well known for their sweet temperament, their brilliant eyes, and their beautiful long coats. How They Describe Themselves: I started breeding Persians in 2002 starting with Himalayans. I bred for chocolates and lilacs in solids and Himalayans. I then found the bi-color Persian, which I fell in love with. I then began looking for that special look that I had always wanted and strived to get. Through selective planning and breeding I got the look I always wanted. so small, all of our adorable teacup kittens are well socialized. How They Describe Themselves: We are a small cageless cattery. 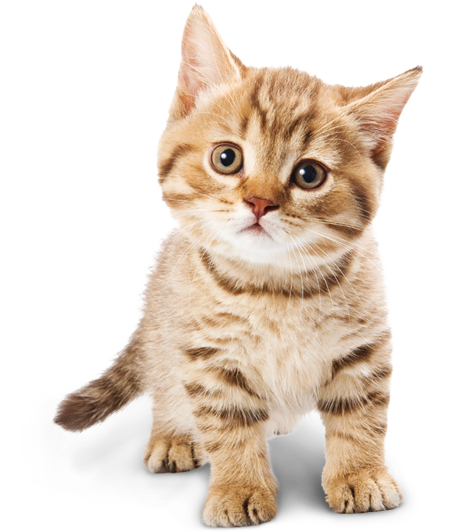 We prefer to place our kittens locally and not to ship them however, we can sometimes arrange to deliver your kitten to you or meet you half way. Please read our testimonial page and you can hear from proud owners who have adopted a baby from us as to what KocaKola kittens are like…the difference you will see in your very own KocaKola kitten. How They Describe Themselves: We are a family owned small cattery raising all of our Persian kittens in house and lovingly socializing them for their forever homes. We sell Teacup & Toy Persians in Florida and ship in the USA and to Canada. How They Describe Themselves: We specialize in teacup, toy, and standard size doll face Persians. While our cattery is located in Southeast Florida, we offer shipping to most major airports in the United States. It has been our pleasure and passion to breed Persians for over two decades. How They Describe Themselves: We specialize in sweet doll faced persians and himalayans and we also have the flatter faced CFA standard persians. All litters are registered with CFA (Cat Fancier's Association) as are their parents. We breed for our enjoyment and for your future as well with these much loved sweet tempered, healthy babies. How They Describe Themselves: Bravlion Cattery, a Florida exotic shorthair cat breeder, features show quality exotic shorthair kittens for sale. Shipping Available. Cat care advice. How They Describe Themselves: Ocalicos specializes in Persian high white bi-colors, calicos and an occasional solid color. A bi-color persian is predominantly white with “other” colors; red, cream, black, blue on parts of the body. A calico cat is a white cat with patches of red and black or dilute colors of cream and blue. How They Describe Themselves: My breeding program is dedicated to providing potential owners with Persian kittens that are always healthy, super sweet and adhere to the CFA Persian breed standard. I have been breeding Persian kittens for over 25 years. My cattery is very small and completely cageless, my kittens are raised with loving care; they are my babies and one of my greatest joys. My other greatest joy is matching one of my angels to an owner who will love him as much as I do. I have countless thank you emails and references from the delighted owners of my kittens, available upon request. Not finding what you want with the Persian cat breeders in Florida? Sometimes this happens as most small catteries only have one or two litters per year. If you’re looking to adopt a Persian kitten or adopt a Persian cat, you have two choices.